Just south of San Saba, I found this amazing field of bluebonnets. A storm was breaking and the sky was close to lighting up when the sun set behind the horizon. 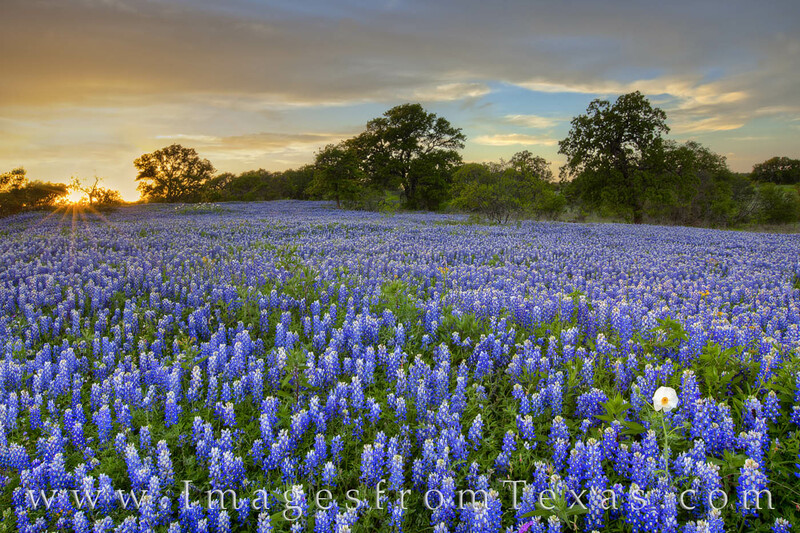 This is the first of many images that came from this evening of Texas Wildflower hunting. Along with this bluebonet field in front of me, there were fields of blue on each side of me and behind me, with only the dirt road separating the tow oceans of blue. Photo © copyright by Rob Greebon.